Lesson over! Ok, maybe not. Notice again how God gives us everything we need! Isn’t that fascinating to you? I love it, obviously. God doesn’t leave it there, although He could. As we’ve seen before, repetition of ideas creates EMPHASIS. If you struggle with your finding time for prayer, study this lesson. If you struggle with having a thankful attitude, study this lesson. Let’s explore more of what He’s seen fit to teach us on this matter. 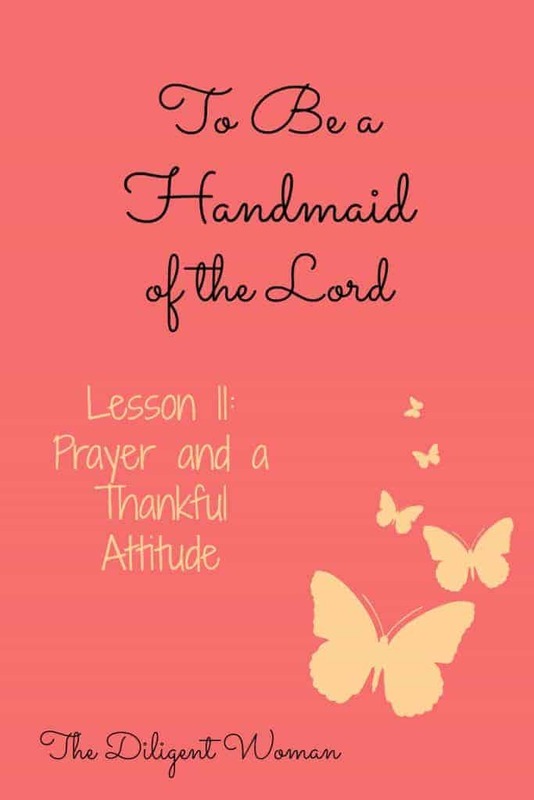 For more studies like this – check out “To Be a Handmaid of the Lord” here or on Amazon here.